Greetings from Eide CDJR Pine City; your place for the top Chrysler, Dodge, Jeep, and Ram service and assistance in the Pine City area. 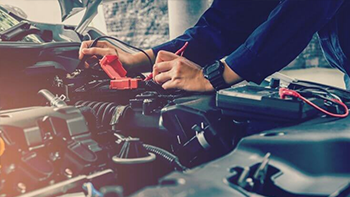 Whether you are facing down a significant repair or just an everyday tune-up, you can have faith the Eide CDJR Pine City staff of committed Chrysler, Dodge, Jeep, or Ram-accredited technicians are here to steer you through each step of this process. Even if you own a vehicle that does not belong to the Chrysler, Dodge, Jeep, or Ram family of models, the Eide CDJR Pine City team would be more than pleased to provide service and support to you during this critical process. 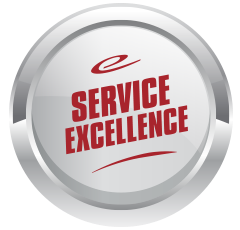 Our automotive service experts have years of experience working with repairs and maintenance for virtually every manufacturer, so you can take comfort in the reality that your non-Chrysler, Dodge, Jeep, or Ram automobile is in good hands once you roll onto the Eide CDJR Pine City property. Before you make your ultimate decision regarding your repair concerns, take a moment to join us and get to know why so many of the fine people of Pine City refuse to take their automobiles in for service anywhere else. After doing this, chances are you will be ready to get the ball rolling on your service needs and lay out a visit to Eide CDJR Pine City as soon as possible. 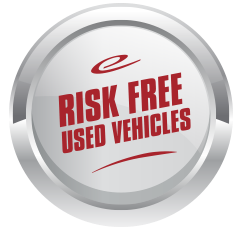 Preserving Your Safety Thanks to an Unprecedented Devotion to Superb Repair Tactics — Your safety is our principal consideration, so you can drive away from our dealership secure in the fact that your repair or scheduled service was done right the first time. 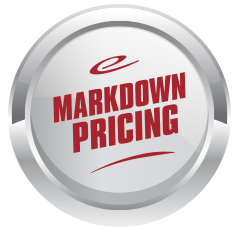 Prices That Leave the Competition in Awe — Not interested in paying an arm and a leg for your future car service? Then come to Eide CDJR Pine City, and it will not take you very long to learn just how important it is to us to keep you on point with your budget. Access to Premium Replacement Parts — Servicing a Chrysler, Dodge, Jeep, or Ram car? Then you will be happy to know we have access to any official original equipment manufacturer (OEM) part required to change out the damaged or faulty component in question. In other words, Eide CDJR Pine City is more than able to set the gold standard for car repairs and service in Pine City MN for the men and women who want to get their automobiles back on the road in a quick and affordable manner. Going a step further, Eide CDJR Pine City is not just the dealership that offers up the greatest combination of reliability and affordability, but also the place to come if you are eager to leverage the exceptional stores of knowledge and understanding of an expert team of Chrysler, Dodge, Jeep, and Ram service techs. While having the ability to connect with these certified experts might not seem all that significant initially, the truth of the matter is these pros have competencies and instruction that completely supersedes what you find at any of our local competition. Clearly, these small-time operations may talk a big game or leverage cunning sales tactics at times. However, there is no escaping the reality that only authorized Chrysler, Dodge, Jeep, and Ram professionals have invested the countless hours necessary to receive this privileged status from Chrysler, Dodge, Jeep, and Ram. On top of that, achieving this position also provides our mechanics with the ability to connect directly with Chrysler, Dodge, Jeep, and Ram and stay on top of any shifts, adjustments, or developments found within the cutting-edge of appropriate Chrysler, Dodge, Jeep, and Ram repair and maintenance procedures. When it comes to making sure your automobile is capable of taking to the road safely and reliably, are you actually inclined to accept anything but the top-quality support and raised requirements that come with the work performed by a qualified Chrysler, Dodge, Jeep, and Ram service tech? Oil Changes — Leaving used, dirty, or old oil in your engine can cause elevated friction and the inevitable degradation of crucial parts. Tire Rotations — Bald spots and preventable wear and tear, as well as a greater risk of accidents, are all warning signs of tires that have not been routinely rotated. Timing Belt Changes — A neglected timing belt is much like an impending disaster in that it can inflict extreme damage to a car's engine if it reaches the level of major degradation and breaks down during your daily routine. Brake Inspections — Even though most discussions related to your brakes might come across as boring or mundane, setting aside a few moments to scrutinize these critical parts on a regular basis makes certain they are ready to perform properly when you need them most. These are just a small amount of examples that speak to why disregarding routine service is never a good choice. 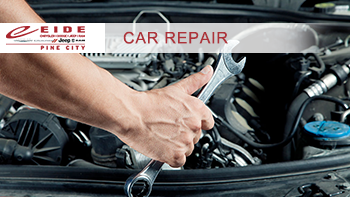 The well-being of your vehicle is at stake, so go ahead and reach out to Eide CDJR Pine City when you are ready to tackle these simple services. Now that you are up to speed with the need to come to a trustworthy service provider like Eide CDJR Pine City for your repair and maintenance considerations, there is no better time to connect with our certified team and craft an appropriate service timeline. To get the ball moving on this front, make it a point to give the Eide CDJR Pine City team of proficient automotive technicians a call at (866) 938-7197 today. By choosing to bring your valued business to the service staff located here at Eide CDJR Pine City, you will be taking a great step toward prolonging the useful life of this critical resource. When you comprehend how imperative it is to have a car in proper working order to keep your daily routine on track, as well as your time spent journeying outside Pine City, it makes plenty of sense to hook up with the Eide CDJR Pine City team right away and get back in order with your standard service plan as soon as possible.